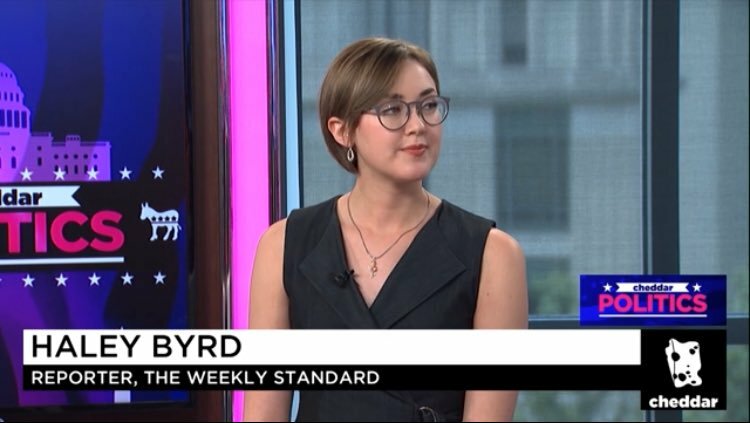 The Weekly Standard’s Haley Byrd has joined CNN, the network announced this morning. She will be based out of the Washington, DC bureau and cover Capitol Hill. When I went in for my first interview with CNN they asked me what I wanted to cover on Capitol Hill and I said the very exciting stuff like Section 232 tariffs and NAFTA. And they’re letting me do it!!! Prior to this, Byrd has been an occasional guest across Fox News, MSNBC, in addition to previous appearances on CNN.